Note to camera geeks: All photos in this post taken by Onlyboy with his iPod. Why? 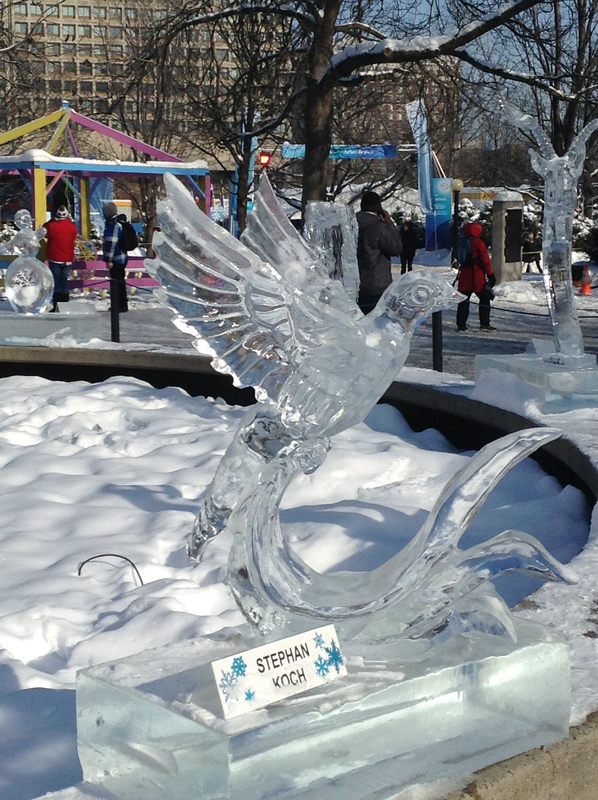 Because in Ottawa, February means Winterlude and even Ottawans, who by the way live in a freezing environment and yet hate the cold, admit that Winterlude is pretty cool. It is like Quebec’s famous Carnival but without the Caribou and vomiting drunken louts. What do we do for Winterlude? 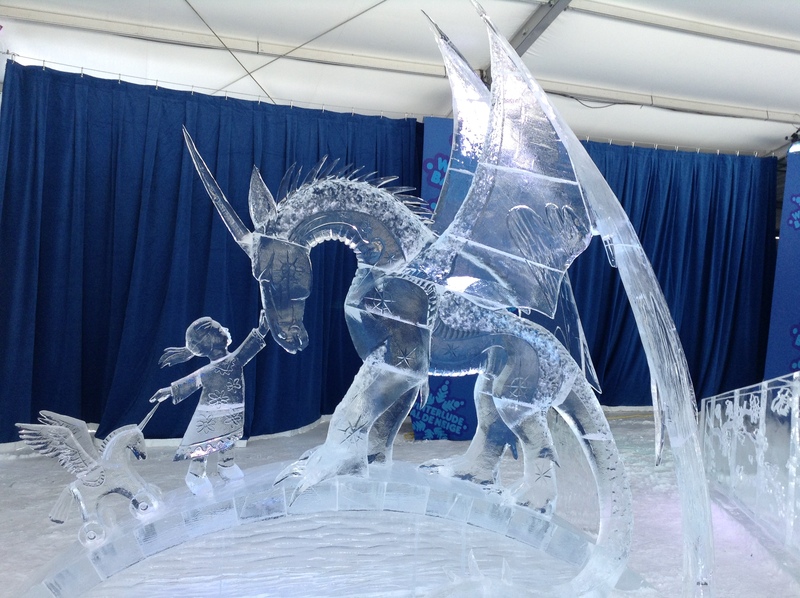 Well for three weeks, we slide on amazing ice slides, skate on the world’s largest outdoor rink, look at beautiful ice sculptures and possibly attend some events like a soup competition or a concert. If you aren’t from Ottawa, you probably don’t realize that the city often gets a thaw in February. A thaw where the temperature not only goes above freezing but it also rains steadily for a couple of days straight. That is the kind of weather to kill Winterlude, cause your basement to leak (because the rain can’t be absorbed by the frozen ground), and might possibly result in you breaking a hip. During the February thaw, the whole city becomes a skating rink – not only the world’s largest, but the entire universe’s largest! 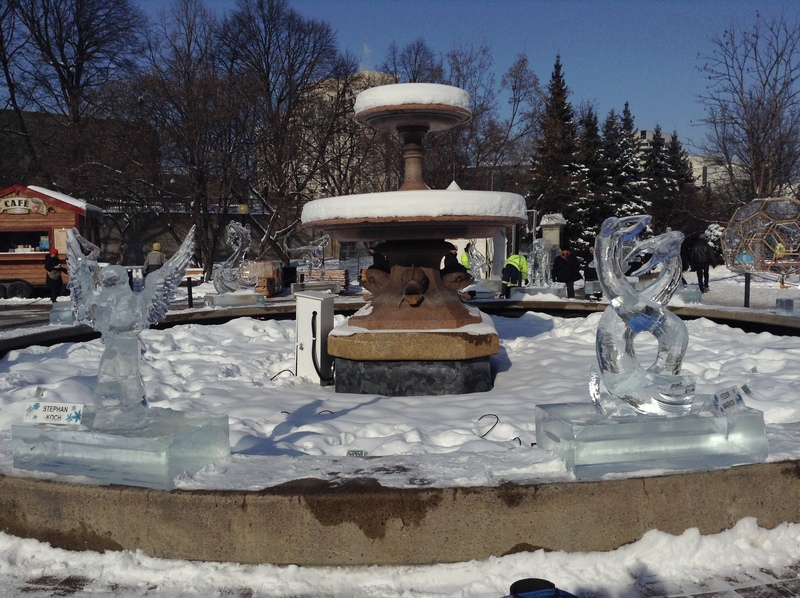 But Ottawa didn’t get a February thaw in 2015 and that means that the ice sculptures kept their crisp edges, the Rideau Canal Skateway was open every day and my basement remained dry! 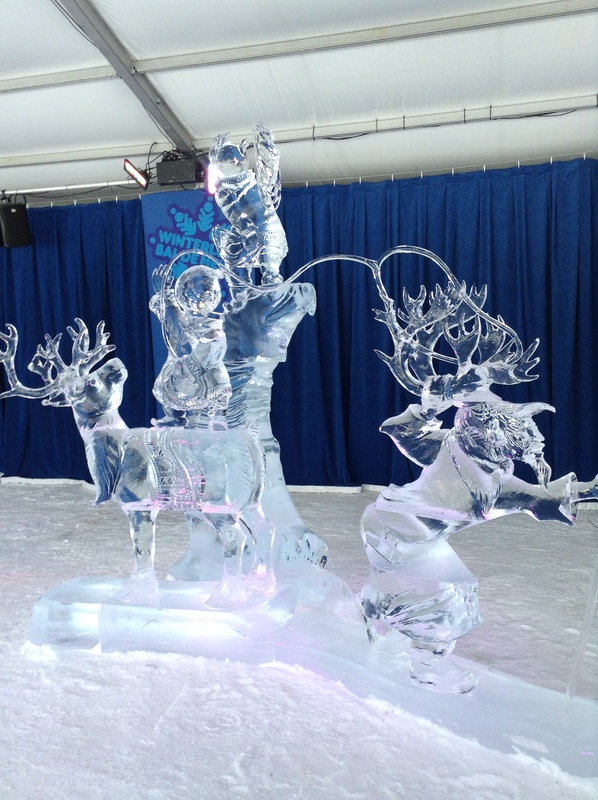 How do you carve a lasso out of ice?! With a February thaw, the lasso would have been toast! 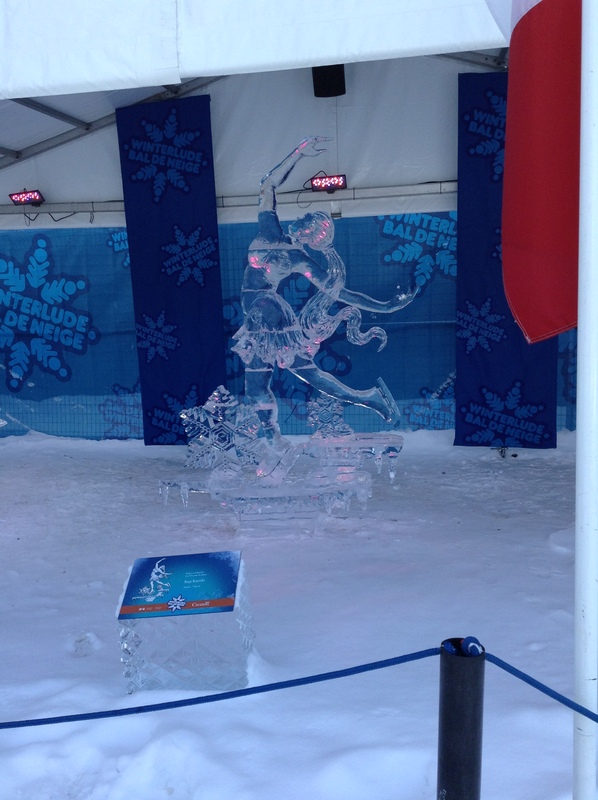 I hate to break it to you, but you missed Winterlude 2015. It’s over. 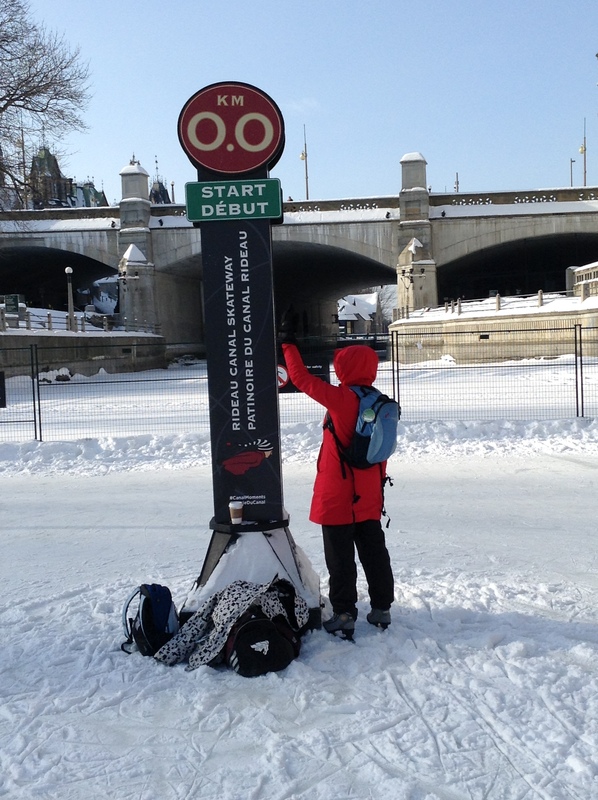 But there’s still time to scoot to Ottawa this February and yes, it’s still worth it. Because if you get here fast, you can be part of history in the making. Today (!) Ottawa broke it’s previous record for consecutive days of the canal being open for skating. It hasn’t had to close once since it opened on January 10, 2015! If you don’t want to do the math, that is 47 straight days. And the cool thing is that it is open 24 hours a day so you can enjoy night skating. I love seeing people skate with miner’s lights on their heads. How Canadian is that?! One of my favourite carvings. The National Capital Commission is focusing on the positive here by pointing out that the entire 7.8 km (roughly 5 mile) Rideau Canal Skateway is open. Conditions today on the Skateway Condition webpage are listed as “fair” because they haven’t had time to clear last night’s snow yet but for the most part, the conditions have been good to excellent every day for 47 days. What does this really mean? That it’s been friggin cold for 47 days! As a result, last year about 20 000 people/day used the canal but this year only about 17 000 people/day have been venturing out. 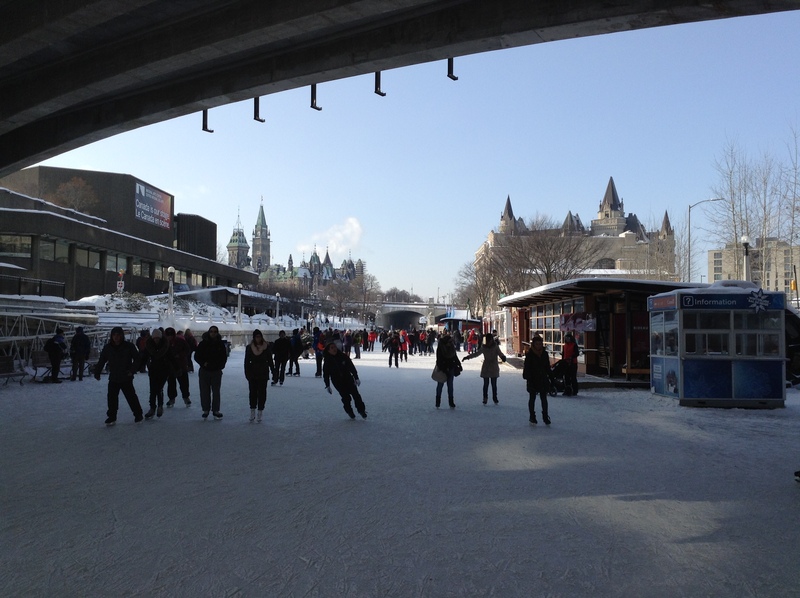 Rideau Canal Skateway. National Arts Centre on left with Parliament Buildings behind. Fairmont Chateau Laurier hotel to the right. I get it about the cold but it is a shame because the canal actually keeps people warm. It’s true that the long, narrow shape of the thing turns it into a wind tunnel. Whatever the horrific temperature in Ottawa, it will be more brutally cold on the canal. So how does it keep you warm? Because you skate, silly. SWMBO starts a 12 km skate. I take this to mean, “Before enlightenment, skate. After enlightenment, skate.” See you on the canal! Only you could make me actually think positive things about this crazy weather. Thanks.